Bridging the gender gap: Why are there still so few women in IT roles? If you had asked the graduates of 1993 how they imagined the gender gap would look in a quarter of a century’s time, the chances are they would have laughed in your face. The girls were outnumbering the lads in the traditionally male disciplines of engineering and technology, and it would have been reasonable to assume that by 2018, this would have spread to all sectors and management levels. Yet here we are, and things do not quite look that way. Gender diversity remains as much of an issue in technology organizations as it was at the turn of the millennium. In part, it is down to the fact that more than 50 percent of women who begin careers in technology leave their jobs mid-career. However, there must be more to it than that. The pattern is not seen to the same extent in other sectors, and to the best of the researchers’ knowledge, technical workers are not the only women on the planet who have babies. The question is one that was recently studied by Girls Who Code (GWC), a non-profit organization that provides computer-science education and training to girls and young women aged 11 to 17. Their after-school and summer camp style programs have gone a long way to normalize technology as an educational path, and to foster a sense of curiosity and engagement in technology among teenagers. The real trick is to keep that momentum going into the world of work, and the recent trend towards outsourced IT services could be key. It is no secret that there is still something of a “boys locker room” mentality in the archetypal corporate IT department. But with internal IT teams rapidly going the way of the dinosaurs, so are the attitudes. Today, businesses are increasingly looking at third party providers to meet their IT needs – that means companies like Probrand, that provides third party solutions ranging from technical support to managed services to a whole lot more. With the new style of service provision have come new attitudes, and the whole sector has a feeling of fresh air about it. Of course, not every major organization is outsourcing its IT. What can those who keep their technical departments in-house do to improve gender equality? Jane Chwick, a senior advisor at Goldman Sachs, is a speaker for GWC and a member of its board. She feels that the major corporations can and should be doing more to identify, develop and retain the most talented employees and cited a project that she led at Goldman’s 15 years ago. This entry was posted in Business, Family Friendly Working, The Mumpreneur Guide on March 14, 2018 by Antonia. Why consider a career in Civil Engineering? The desire to build and create is one of the primary driving forces that separates humans from other animals, and is one that has led to civilisation as we know it. It is something that manifests itself from a young age – kids of both sexes and all ages love building and making things – from those first simple towers to complex models that are often as popular with the parents as the offspring. Family owned civil engineering firm Lagan Construction has developed generations of civil engineers over the past half a century. They say that those who choose a career in civil engineering are typically men and women who have carried that passion to create into their late teens and adult life. Here are five reasons civil engineering makes a great career choice in 2018. This is an ideal time to get into the civil engineering industry. There are projects in the pipeline worth around £500 billion over the next few years, including HS2, Crossrail 2 and numerous motorway and regional rail expansion projects. There are also plans for several new power plants, included the proposed Bradwell B in Essex. Most civil engineering jobs require the candidate to have a degree, but there are other routes into the industry that do not mean years of academic study. For example, steelworkers form the backbone of any civil engineering project, and entry level roles do not require any specific experience or qualifications. Of course, even here, the right certificates will always help to land that first job, so a specialist course is always a good idea. Get a job in civil engineering and a whole world of opportunities is open to you. You might choose to work your way up to a supervisory or management role, or perhaps you will decide your talents lie in the technical and design side of civil engineering. The point is that once you are in, it is just a matter of gaining experience and acquiring the necessary professional qualifications to develop your career. Whichever area of civil engineering you ultimately settle upon, you will be certain to gain a wide range of useful skills and abilities, that can open doors in a variety of related fields, including manufacturing and construction. As well as practical talents, the soft skills in areas such as teamworking, problem solving and critical thinking will put you in good stead, regardless of the career route you ultimately pursue. Civil engineers can earn a good salary, particularly those with knowledge, skill and experience that is in high demand. The specific salary opportunities will, of course, vary depending on the exact role, but starting salaries are typically around £23,000 and even those without a degree can soon find themselves earning £30,000 or more when they have acquired around five years’ experience. Members of the Institution of Civil Engineers (ICE) earn an average basic salary of £50,000. This entry was posted in Business, Uncategorized on February 15, 2018 by Antonia. You’ve committed a driving offence and you’re about to be prosecuted. It’s possible that you could lose your driving licence and while you’re obviously remorseful and know you must face some consequences, you’re still very worried. If you’re disqualified from driving for a significant period of time, then the impact on your family could be very serious indeed. When you’re dealing with a driving offence you should get legal help as soon as possible so that you’re treated fairly in court. If you’ve pleaded guilty to the offence then your best hope is to try to reduce the punishment, maybe by pleading exceptional hardship. Here are some helpful pointers to pleading exceptional hardship. Letter templates don’t work because they don’t take you and your unique circumstances into account. Of course, there’s nothing wrong with visiting a website or two to find out how to structure such a letter, but don’t be tempted to copy it to the word. You should expect the prosecution to ask if you can’t use public transport, or a cab, or even get a lift from a friend or relative to get to work or to appointments. You’ll need to provide written proof rather than verbal testimony. Stick to plain facts, not maybes and what-ifs and certainly not emotive language. You can use bullet-points if you like, as this helps you to focus on facts. Strong examples of exceptional hardship include job loss and therefore the potential loss of your home. You can also include the fact that you can’t drive vulnerable relatives to medical appointments or the fact that you can’t do your usual community or charity work. You need, in a nutshell, to show that others will suffer as much as, if not more than, you. Is losing your job serious enough? If you’re in an unusual or niche field and you’re well-qualified and fairly young, then losing your job could be seen as a temporary setback. If you’re older and in a saturated sector, then you may find it harder to replace your livelihood. Losing your driving licence will make shopping and going on holiday more difficult – you’re being punished, after all. No-one will care about these problems, so focus on the bigger issues like keeping your job and paying your mortgage. Documents are the way forward here, so talk with your lawyer about the evidence you can collect and how you can best present it. This sort of evidence can make or break your case. You mustn’t make yourself the star of the show (as it were). If you talk about how much you do for your local OAP group and the village Under 14’s football team, you’ll come over as smug. What you need is letters from the OAP group and the team coach explaining how they’ll find things harder without you. Letters are especially useful because they don’t get nervous in court and forget things. This entry was posted in Business on January 8, 2018 by Antonia. Have a Facebook page, it’s a great way to promote your business! That can feel like it is easier said than done, however. In this article, Antonia Chitty, co-author of Making Money Online and Blogging: the Essential Guide, outlines 45 steps to make sure that you don’t just create a Facebook page, but you create one that really works for your business. When setting up your page, choose a good username, something memorable that is easy to spell. Start with a clear ‘about’ and links to your business website. Add in your business telephone number and address as appropriate – the easier it is for people to see that you really exist, the easier it is for them to trust your business and click ‘like’. Use the milestones feature to build in your business’s history, awards, etc – this can all build trust and encourage people to like your page. Focus on the problems that your potential customers or clients need to solve. Which issues cause them most ‘pain’ – physical, emotional or psychological? How can you help them address these? Ask your friends to like your page. We all do it, but it has its limitations. Are your friends really your target market? And don’t you need your business to extend beyond friends and family? What asking friends for like is good for, however, is getting the page started, finding the first 25 of 100 followers. Having a number followers already can take away one of the barriers to people clicking like: the more people who like your page, the more people want to say ‘me too!’ and follow the crowd. Another way to build your initial ‘likes’ is to invite email subscribers to go and like your Facebook page. People who are on your list already will be warm to your business and more likely to take action. Remember to go back every so often and remind them about the page again as not everyone takes action first time. Use Facebook resources: https://www.facebook.com/business/overview. Facebook wants your page to succeed and their tips will help. Something simple to start with, as suggested by Facebook, is to ask yourself, “What do your ideal customers have in common? How old are they, and where do they live? How can your business help them? Would one group be more interested in specific messages, products or services? A sale or a timely offer? Once your Facebook page is set up, add the link to your email signature block (and that of all staff members if appropriate). Add the link or a QR Code to business cards. Now, make a plan for promotion. Planning now, rather than simply wandering round Facebook every day, can save you time and effort and make sure you ae getting the results you want. Set some goals and targets: this makes it much easier to focus your efforts and see if they are working. Be clear about your target audience – and refine this as you see what type of person likes your page, and how this compares to people who buy from you. Consider where your audience already gathers online? What would incentivise them to like you – what’s in it for them? Who are their leaders, who would be a great ambassador? Allocate time each day where you or your staff will work on your Facebook page. Regular interaction is vital – people expect Facebook to be a place where conversations happen. Try different times too – do people check in first thing, at lunchtime, in the evenings? Advertising does work to help you boost the number of people who like your business page. See the ad create tool at https://www.facebook.com/advertising. It really is simple to use, and also to adjust as you use it. Try different adverts for different target groups. Try something for a week then adjust, and assess your results. Ask questions – open ended questions encourage discussion and give you insights you’re your audience. Include the link to your Facebook page in your own blog posts and in guest posts on other blogs. Comment, thoughtfully, on other pages as your own pages. Focus on those with overlapping target audiences. Competitions bring people in to your page, though as I write this regulations are changing about ‘liking’ as a requirement for entry. Check the regulations before running your own competition at https://www.facebook.com/page_guidelines.php. Facebook Business News, https://www.facebook.com/business/news, will keep you up to date with future changes. Offer coupons and discount codes exclusively on your Facebook page. Regular offers will keep people checking back, so flag up when your offers will occur, whether it is every week or month. Link your Twitter to your Facebook fan page and automatically post your Facebook content to Twitter. This isn’t a rule that you always have to follow, sometimes it can become annoying, so test out the response. Another way to cross pollinate your social media is to share what’s happening on your Facebook page with your Linked in contacts. Make sure you select people who are in your target audience, and approach them with email letters that appear to address their particular interests. Network by making connections with other page admins – business owners or social media consultants – who have a similar demographic to yours and cross-promote each other. Make it personal. Facebook gives people who like your page a chance to get the inside take on your business. Consider what might push their buttons and make them feel part of the family. It could be sharing pics of staff, your customers own cake designs, your pets or theirs? Think about what will appeal to your target audience. Photos are key to Facebook. We’ve already mentioned photos of the behind the scenes part of your business. If you have products, can you ask customers to share pics of them in use, perhaps with incentives to share? If you offer a service, get consent from those using the service to allow you post photos. Tag people in the photos once you have their consent and you may find they share the pics too. Polls can make people feel part of your business. If you are selecting new designs or products or considering offering a different service, ask for views. It gives you a good reason to promote your page and get people involved. Use scheduling apps like Hootsuite to ensure that content is coming up regularly. Nothing beats real-person interaction when running a page, but if your busy times are in t evenings you don’t always want to work then. Scheduling can ensure new material appears when it is needed, whether you are online, working on something else, or on holiday. It is also time-effective to plan content for the week or month ahead. There’s nothing wrong with asking others to share. You could simple add ‘please share’ to a significant post, or build relationships with opinion formers within your target audience and drop them a message to ask them to help spread the word about a particular post or event on your Facebook page. Share other relevant page content via your page. It always helps to gather good information on regular topics and disseminate it to people who like your page – they will know where to come for news on their interests. Create custom tabs to use as landing pages for specific campaigns – this could include a sign up box, a coupon, a video, some of your most popular posts, calls to action or other marketing ideas. Take photos at live events and encourage people to tag themselves in them. Add testimonials, customer letters, comments etc, but always make sure that you have permission to do so. This builds trust and also interaction as it can encourage others to share their views. Respond to complaints promptly. Sometimes customers will complain via Facebook and this isn’t always bad for business. Show that you are addressing the complaint and sorting the problem and it can, in fact, help people trust your business. Video is just as important as photos and written updates. Add in videos of your products, your services, your customers. Upload video direct to Facebook rather than embedding and it will display a like button for everyone … and that even includes people who aren’t fans. You can load video content to your Facebook fan page, then take the source code and embed on your blog/website. Tweak your content and check results. Try posting photo posts and those without photos, try posting at different times of day, compare posts where you share other people’s contents with posts that link to your own site. Count the reach for different types of posts and adjust your mix accordingly. Measure and adjust: Find out what’s working well, so you can maximise the impact of every post and ad. Facebook has a lot of different tools to help you measure how you’re doing. Visit Page Insights regularly and look for trends so you can develop more of the best-performing content. It will help you understand more about the people who respond to your updates. You’ll learn more about their gender, age and location, and who is most engaged. Ask how people heard about you—at the end of a call, in a survey, or at the point of sale—and keep track of what they say. This will help you know if your Facebook page is working for your business. This entry was posted in A Guide to Promoting Your Business, Business, Business Promotion, online PR on November 10, 2014 by Antonia. 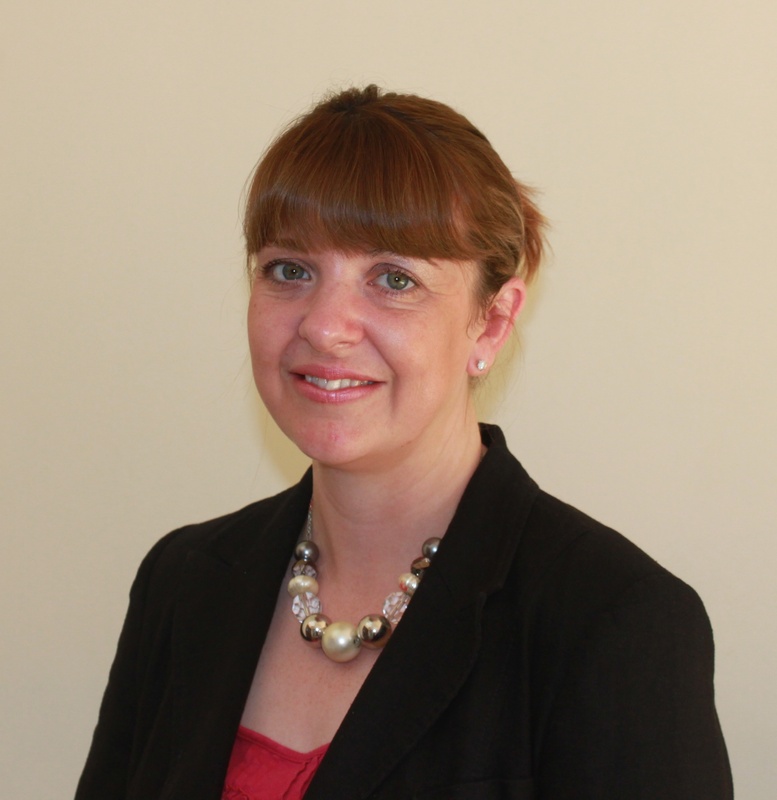 Victoria Dawson is a sleep practitioner and special educational needs teacher. She is the founder of the Children’s Sleep Charity and has written sleep-training materials for Scope. She writes in the national press and presents at conferences across the UK. Sleep and Your Special Needs Child, co-written by Dawson and Antonia Chitty, is out this month. Here, Dawson discusses her top tips for a better bedtime for your children and yourself. If bedtimes are a battle it can leave you exhausted every evening. When your children have special needs it can seem difficult to build a good bedtime routine. Here are five tips to help you from sleep practitioner Victoria Dawson. 1. Start by writing your routine down so you know exactly what’s going to happen when. The act of writing can make you look at what you do at bedtime, and which parts of it are working and which are not. 2. Consider using a visual timetable so that your child knows what is coming next. Take photos or find drawings of your bedtime activities: a meal, bath time, teeth brushing, story time etc. 3. Fine motor skill activities are a great way of promoting calm in the run up to bedtime. Take time to help your child complete a jigsaw, for example. This is a great alternative to watching television and helps the brain wind down. 4. Try using music in the bedtime routine to promote calmness. Using the same calming tune every night can provide an auditory cue that it is bedtime. There are sound recordings specifically designed for children’s bedtime, some with just music, other with guided relaxation exercises and stories. 5. Seek advice from your child’s therapists. Your OT can provide sensory advice, the physio can help you with information on positioning and the speech therapist on promoting understanding around bedtime. Sleep and Your Special Needs Child by Antonia Chitty and Victoria Dawson is available to order now with a limited time only discount. This entry was posted in Antonia Chitty's Books, Insomnia: The Essential Guide, Sleep and Your Special Needs Child, Special Educational Needs: A Parent's Guide on May 30, 2014 by Antonia. The news series of books from Robert Hale for parents of children with special needs. What other topics should we cover? Victoria Dawson, Founder of The Children’s Sleep Charity, and I have been working in the fields of disabilities and special needs for a long time … I won’t say how long … and we’ve brought together our own interests with expert views and case studies and tips from parents in what we hope will be a practical series for every parent who is at the end of their tether, as well as those looking simply to make life better for the family. Read about the books, below, and let us know what you think. Sleep is vital for children’s well-being. Without enough sleep their health, mood, behaviour and learning ability may all be impaired. Research shows that children with additional needs are more likely to have sleep disorders than typically developing children, and that without intervention these problems will persist. Victoria Dawson is a successful sleep practitioner and founder of the Children’s Sleep Charity. Here, together with health writer Antonia Chitty, she shares her own experiences, those of other sleep experts and those of parents. While most parents of babies expect sleep problems to resolve within months, parents of children with special needs can find them lasting into adolescence and beyond. This is a pressing issue for parents, as disturbed sleep can cause depression, relationship problems and a weakening of the immune system. The majority of parents receive little or no help with sleep problems, and few families have access to sleep practitioners. This book addresses sleep problems using a highly successful behavioural and cognitive approach to sleep management, and is the first book to explain these approaches in detail. The practical advice contained is invaluable for parents who want to feel more in control and more confident about tackling sleep issues in a way that is appropriate for their child. Children with special needs and disabilities may have accompanying issues with food and eating. This practical guide for parents will help navigate this often difficult terrain. In typically developing children, eating problems are relatively common, affecting 20 – 40% of children. In children with special educational needs and disabilities, eating problems can be even more common; they can be severe and can take many different forms. Anyone who has a child between the ages of two and nineteen with an additional need and a food or eating difficulty will find this book useful. Discover the origins of how we eat, and get practical tips from experts, plus read what has worked for other parents in similar situations. Are you worried that there is something wrong with your child? Many parents have concerns about their child’s development, and going through the process of assessment and diagnosis can be stressful. If you believe that there is something wrong with your child, but have yet to get a diagnosis, this book is for you. The Journey Through Assessment will help you through the period of uncertainty when you have to negotiate healthcare and education services. Compiled after extensive research and interviews with parents, it will help you navigate the processes necessary to gain access to the care that your child needs. Discover what might happen during the process, and get practical tips from experts, plus read what has worked for other parents in similar situations so you feel less stressed, less isolated and are more able to help your child on the journey through assessment. This entry was posted in Antonia Chitty's Books, Sleep and Your Special Needs Child, Special Educational Needs: A Parent's Guide on May 21, 2014 by Antonia.